Kate Humble & husband Ludo Graham moved to Monmouthshire in 2007. Ludo, a BAFTA winning TV producer, went to work for the BBC in Cardiff.Kate, broadcaster and writer, was delighted to have the opportunity to move to the countryside after years of being a frustrated bumpkin in London.The initial plan was to rent a house but they fell in love with the Wye Valley and ended up buying an old stone farmhouse with four acres of land. Chickens came first, then Badger the dog. Then they got slightly drunk at a neighbour’s dinner party and woke up to find they had agreed to take on two Kune Kune pigs. Two donkeys and several ducks and geese followed. Then a hive of bees, a veggie patch, Bella (another rescue dog) and a small flock of Badger Face Welsh Mountain ewes. More by mistake than design, they’d become smallholders. Then came Humble by Nature. Humble by Nature is a 117 acre working farm. Owned by the council and tenanted for at least four generations, it was due to be broken up and sold in 2010 when the last tenants retired. Kate and Ludo felt it was too important an asset to the area, farming and the community to be lost. They persuaded the council to let them take it on, keep it tenanted and run a business that would reconnect people with the land and keep traditional rural skills and crafts alive. It’s been quite a journey with the ups and downs that come with running a rural business. While it was unoccupied the farm had fallen into disrepair and there was plenty of work to be done. The first jobs were to make somewhere to house the smallholding animals, a barn for teaching and a house for Tim and Sarah. Tim started the never-ending task of stock-proofing the fields. Then came holiday accommodation – The Piggery, The Humble Hideaway, and The Hayloft. July 2015 saw the first sold out Big Day Out Festival, with a brilliant line-up of guests and friends of the farm including Gareth Malone, Matt Tebutt &amp; Tom Herbert. Big Day Out returned in 2016 for a whole weekend of fun, with a comedy night, live music, great food, crafts and farm adventures. Gareth Malone OBE, comedians Miles Jupp, Lucy Porter and Justin Edwards, chefs Matt Tebbutt, Jane Baxter, Romy Gill, David Jones and many more helped to make it a fantastic weekend. His Royal Highness The Prince of Wales and The Duchess of Cornwall visited the farm in the summer of 2015 to see first hand how a small farm can be kept alive by diversification. Humble by Nature was – and still is – a true passion project: to save a farm and give people who want the opportunity to connect more with the countryside an authentic, hands-on experience of rural life. Humble by Nature is now home to a busy working farm, a thriving rural skills centre with a wide range of courses and events and delightful holiday accommodation. Kate’s book Humble by Nature: Life, Lambs & a Dog Called Badger tells the story of the animals, people, problems and triumphs that came along with her and Ludo’s determination to save the farm. 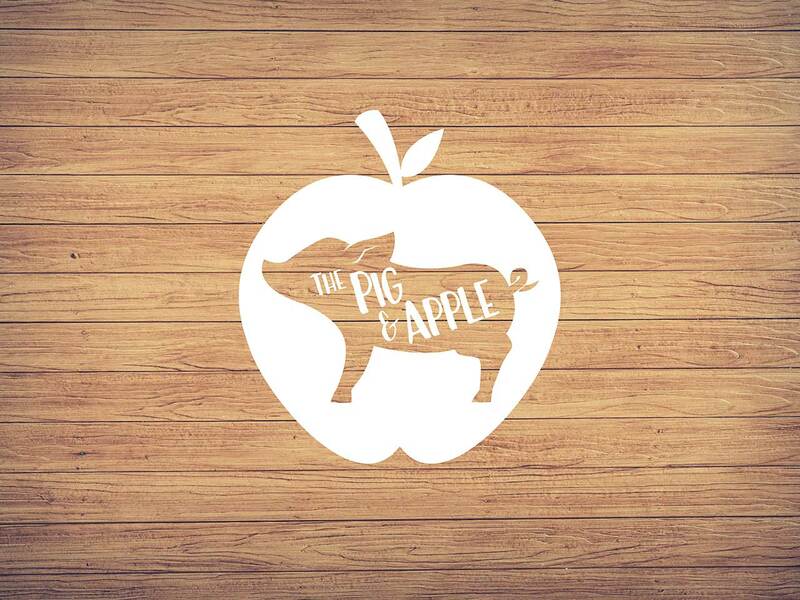 Coming soon to Humble by Nature… The Pig & Apple café. When Jess and Jake approached us to open The Pig & Apple café on the farm we knew we had to say yes! They’ll be cooking delicious & affordable food using the best, locally sourced produce.